I love the 4th of July. I have fond childhood memories of the holiday. I always looked forward to the parade we attended each year. After the parade, we always had a picnic followed by a concert and fireworks. Now that I have a child, I’m glad I can start similar traditions in Hendricks County. You can find great events in Brownsburg, Danville and Plainfield, Indiana, this year, including: Brownsburg Lions Club July 4th Extravaganza (Editor&apos;s Note: The Brownsburg July 4 Fireworks show has been cancelled due to the fire danger in Hendricks County. All other festivities will continue as scheduled.) The celebration in Brownsburg isn’t limited to just one day, but six days of festivities. From July 2-7, enjoy the July 4th Extravaganza in Arbuckle Acres Park, 200 N. Green St. The Extravaganza includes a carnival, fair food, a parade and fireworks. The carnival rides are open daily from 6-11 p.m. Enjoy fair food, including roasted ears of corn, daily from 5-9 p.m. The parade will be at 10 a.m. July 4 and starts on Odell Street, turns left on College to Ind. 267 and then north on Franklin. 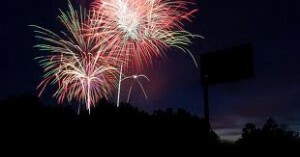 The fireworks show is scheduled for 10 p.m. on July 4. Hummel Park Fourth of July Extravaganza in Plainfield Pack a picnic and head to Hummel Park, 1500 S. Center St., Plainfield for a free Fourth of July festival. Festivities begin at 5 p.m. and include bounce houses for the kids. If you don’t want to take your own picnic, food vendors are available. ‘The New Old Timers’ will kick off with Bluegrass and Gospel favorites at approximately 6 p.m., followed by ‘The Knightsmen’ performing favorites from the Sixties to today. The evening wraps up with a fireworks display. Family 4th Fest in Danville (Editor&apos;s Note: Danville&apos;s event has been postponed due to the fire danger in Hendricks County. Visit this website for more information.) Families can also grab a blanket and pack a picnic to celebrate in Danville. 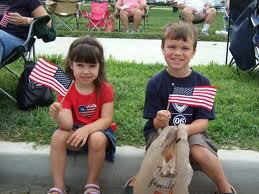 Enjoy entertainment, games, food vendors and fireworks at Danville&apos;s Family 4th Fest. The event is held from from 6-10:30 p.m. at Danville Community High School, 100 Warrior Way. Fireworks begin at dusk. Metropolis Independence Celebration If your child is a Radio Disney fan, like mine, head to Metropolis on July 4th. Metropolis and Radio Disney will host an Independence Celebration from noon-3 p.m. The event will feature local performers and giveaways. I would love to hear how you are celebrating the 4th of July. Leave me a comment.